Let’s take a closer look at some of these details. 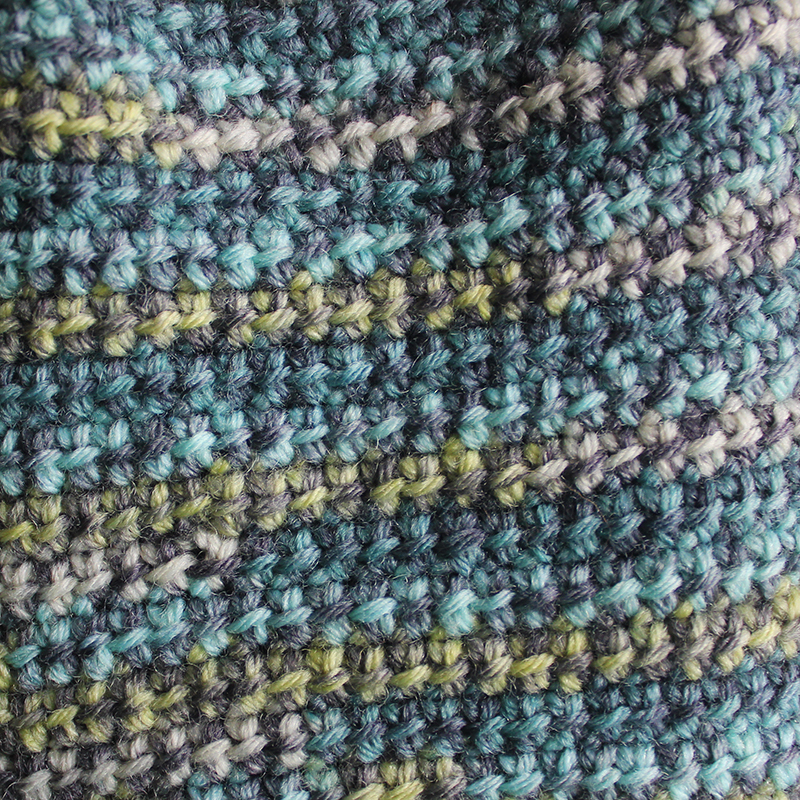 The bottom of the foot is done with a linked double crochet stitch. 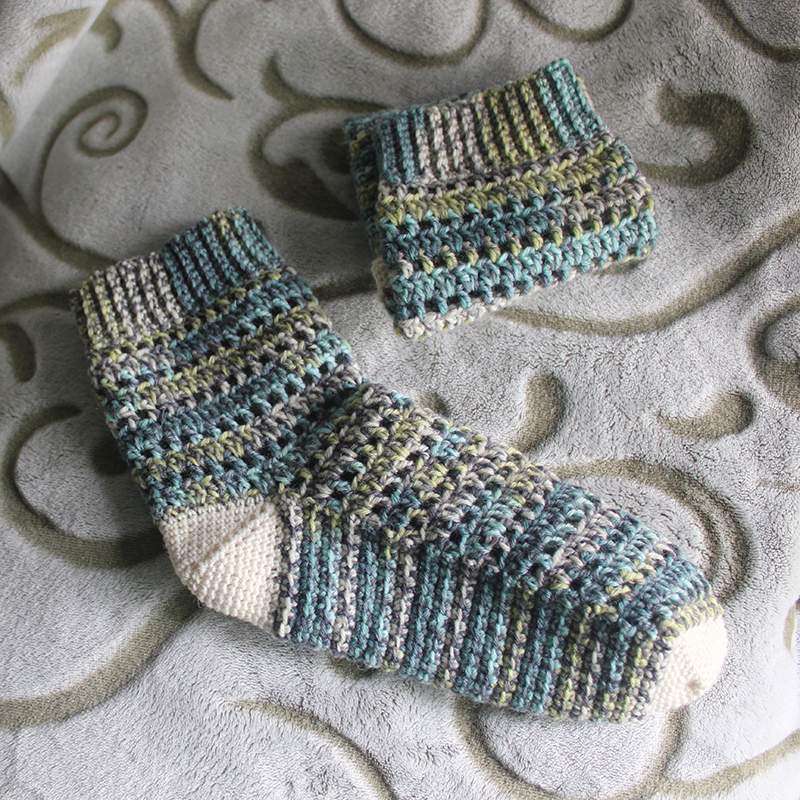 I had never done this one before, so it was quite a treat to try it out for the first time with this sock. 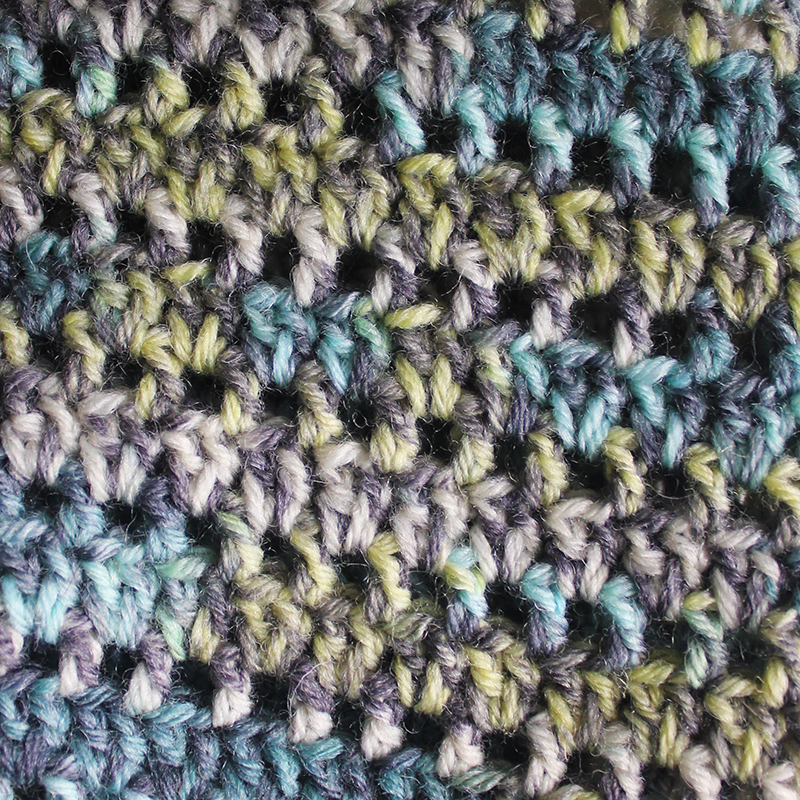 This variation of the double crochet stitch creates a denser, tighter fabric, but without the bulk of a single crochet stitch. If this stitch is new to you as well, check out this great tutorial video I found from New Stitch a Day. The top of the foot is created with a V-stitch. This is easy as pie. Alternate a round of “dc, ch 1” with a round of “2 dc into ea chain space” and you’ve got V-stitches. Because we’re working in double crochet stitches (the linked double crochet for the foot is the same height as a double crochet stitch) the foot works up really fast! The leg is also worked in a V-stitch. I was able to crochet both legs in an afternoon! Once you reach the desired length for the leg, it is time to add the cuff. 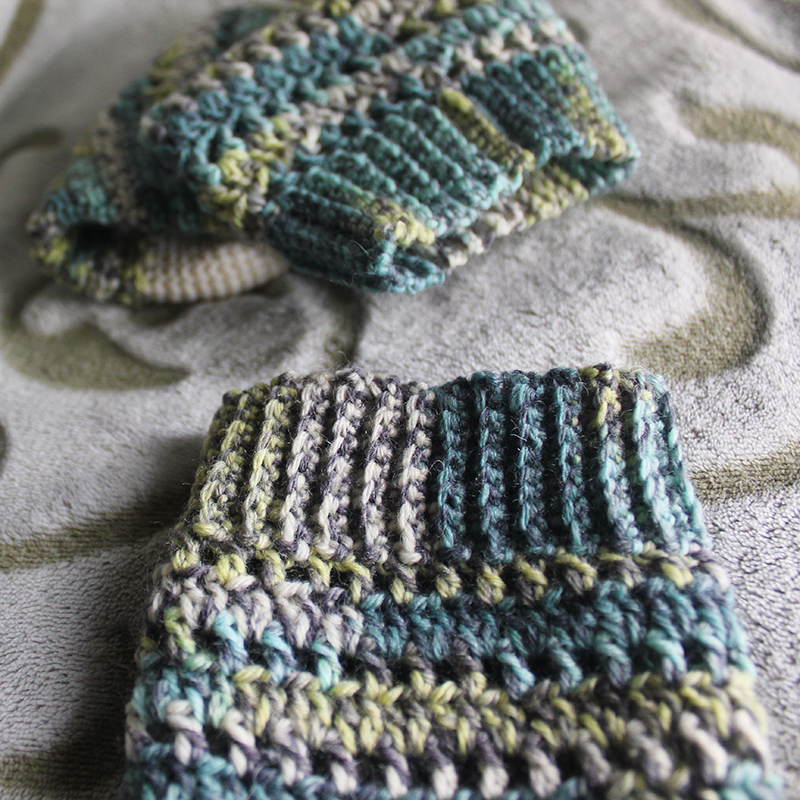 The ribbed cuff is worked out from the leg of the sock by single crocheting rows (in the back loops only) and attaching each row to the sock with slip stitches into the last round of the leg. If you’d like to join in the sock-crocheting fun, come on over to the Year of the Sock Facebook group. 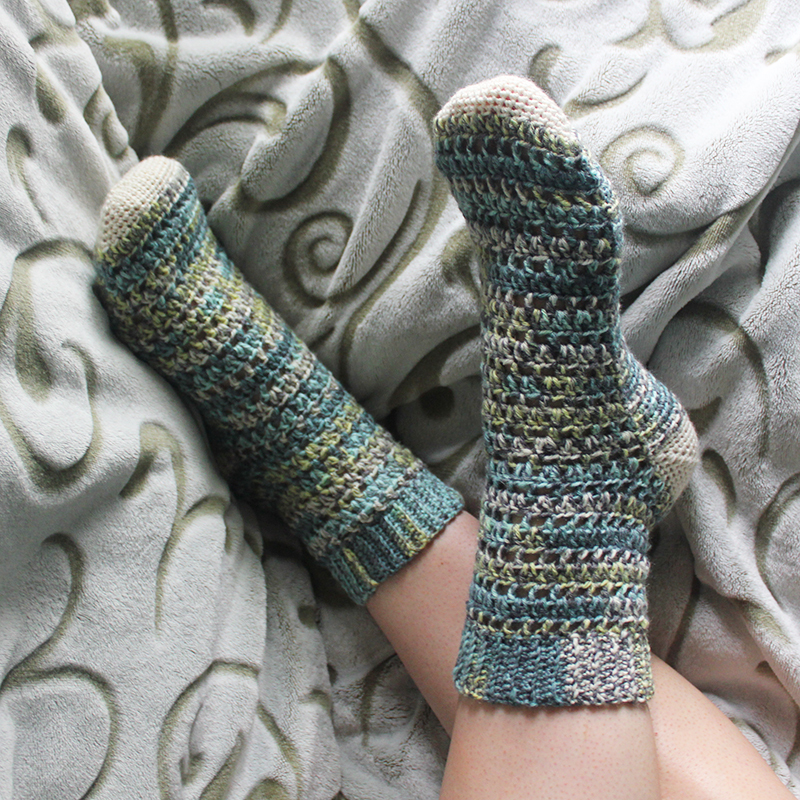 We haven’t chosen a pattern for August yet, so if you have a crochet sock pattern that you think the group will enjoy, tell us about it! 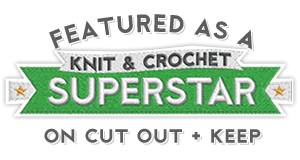 We’re an adventurous crowd, as far as sock crocheters go, so we’ll be ever so excited to hear from you. We’re having a great time in the sock group. It’s very supportive and encouraging. We’d love to have you. There’s no commitment. Feel free to join!